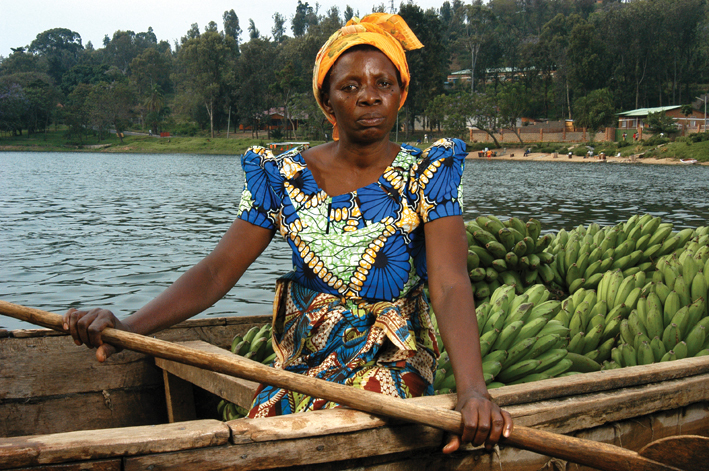 Rwandan Rescuer Josephine Dusabimana's story is featured in PROOF's "Picturing Moral Courage: The Rescuers" exhibition. Learn more about Josephine here (Photo: Riccardo Gangale). For the past three months, I have worked as an archival staff member and researcher at the Kigali Genocide Memorial, one of six national memorial sites in Rwanda that commemorate the Rwandan genocide against the Tutsi. Living in Rwanda, I had the opportunity to visit the national memorial sites, engaging directly in the debate about the memorialization of the genocide, how memorials have become institutionalized, who cares for them, who visits them, and what their purposes are for different constituents, both Rwandan and others. According to the National Commission for the Fight Against Genocide, Murambi is one of the most visited memorial sites in the country, and in my opinion, one of the most brutally honest. When visiting any of the memorial sites, one is accompanied by a guide, often a survivor, who explains the memorial. Each memorial is built on a massacre site with the exception of the Kigali Genocide Memorial, a site that has collected and accepted over 259,000 bodies from Kigali and the surrounding areas for burial in mass graves. Murambi comprises an exhibit about the site and the killings that took place there, with photos, explanatory text, survivors’ stories, and a room to reflect. After the educational exhibit, visitors walk through twenty-four rooms of bodies that have been exhumed and preserved from the mass graves. I visited Murambi with about 15 students from a university in the U.S., who were on a three-week study tour of Rwanda. I quickly separated myself from the group, as I often do when visiting memorial sites, to allow myself the experience of grieving, but also to try to understand what had happened. The guide explained that the purpose of showing bodies exhumed from mass graves, preserved in honest form, was to show the real history. In a place like Murambi, I pondered over questions of genocide denial and wondered how there could be denial of the brutal killings that occurred in the 24 rooms of bodies. You see the ribs, toes, faces, skin, and even hair of the victims. The bodies lay on simple white and wooden tables, four tables in each room. Some rooms were dedicated to children. Questions about denial, victimhood, rebuilding after conflict, and the purpose of memorials raced through my mind – the same questions I have asked when visiting other memorial sites. As an academic working in memorialization, I am in favor of creating memorials and am always thinking of the purposes of state-run memorials, community-run efforts to memorialize, and personal practices, all of which I have seen while living and working in Rwanda. Survivors and government alike have rallied around the support of survivors, including building memorial sites around the country. But I am sometimes left wondering what purpose the memorials serve for survivors, who live with their experience and memories every day. Some survivors have told me that visiting the memorials where their loved ones were killed is therapeutic and allows them to mourn in that place and then return to their regular lives. Others have told me that they do not need a memorial site to remember. There is no consensus, nor can there be, on what survivors need in terms of memorials. But in terms of preserving the history of massacre sites and combatting genocide denial, memorials like Murambi serve an important purpose.